In Psycho Bonkers you'll meet Shine, Shiza, and Gabbo; driver, sentient car, and reliable robot friend, respectively. In the midst of racing on a futuristic, dangerous course, Shine's story unfolds. Her story is one of sorrow, triumph, friendship, and surprise (big surprise in issue 2!). Life lobs challenges at Shine, and Shine hurls herself right back at those challenges. 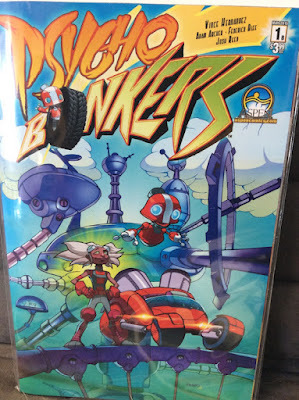 As an all-ages book Psycho Bonkers addresses loss and overcoming adversity. Whether intentional or not, it works. Many a young reader -- and adults like myself -- will enjoy this book. The story moves quickly, the characters are delightful and the art and colors are like candy for the eyes. Editor's Note: There's one issue left on the shelf here at Empire's Comics Vault as of this writing. If you want it, let Ben know and he can order more for you. Having read and enjoyed Convergence, I thought I'd give a few DC Comics titles a try. 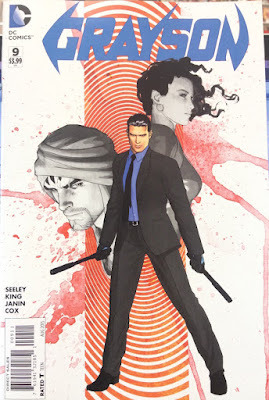 I started with Grayson, issue 9. It reads like a spy thriller, codenames and all, and that's not a bad thing. With so many Robins around, this is a refreshing take on an old favorite. It also represents a refreshing break from heavy hero-villain storylines. Let's hope it stays that way for a while. Not having read the first eight issues, I'm finding a few characters that are unfamiliar to me, however I'm certain I'll quickly become acquainted with them in the upcoming issues, which, incidentally, I'm looking forward to. My guess is that this spy prefers smokier spirit than martinis. 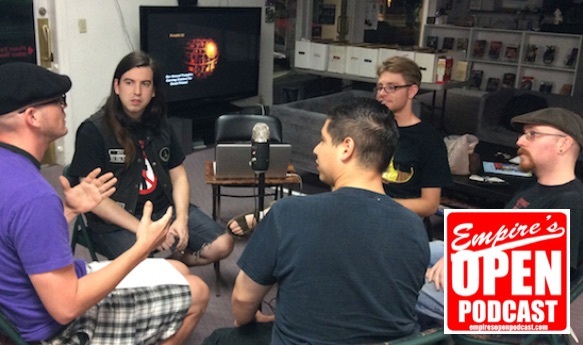 Get your E3 update right here with Sacramento's own Jay Wheeler, aka, Short Nerdy Guy. When he updates you on the 3D holographic Minecraft, you'll suddenly realize, "the future is now." John Marcotte, founder of Heroic Girls, wants to "make the world a slightly better place" for his girls, Anya and Stella. What's more, he wants to empower girls to be the superheroes that they are. His TEDxSacramento talk has been viewed more than 11,000 times. We're proud to call John one of Empire's Comics Vault's fans and customers; and even more proud of the ideas he shares. Please enjoy what John has to share and feel free to pay it forward. For a list of references he used in his talk, visit his post at HeroicGirls.com. This episode's superstars include permanent guest host Jacob DeSersa, regulars Patrick Clarke and Tony Asaro, and first time guest (and DC fan) Matt Traverso. 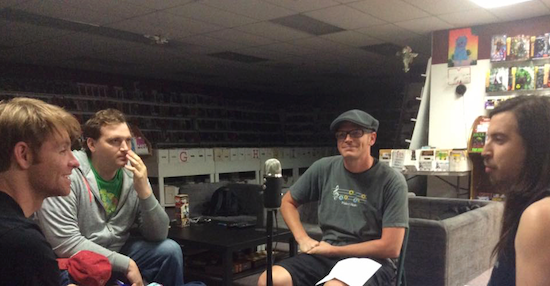 We from actors doing role research by reading comics to Secret Wars and Convergence. Then, we share our favorite comic book genres and what we're looking forward to reading this week. Subscribe on iTunes and if you enjoy it, please rate us and leave a comment. Short Nerdy Guy talks about Marvel skipping ComicCon and that baby thing on Game of Thrones. Then, in another SNG episode, Jay discusses the new Ant-Man poster, Constantine being cancelled, Butterfield's not in the running to be Spider-Man anymore and Black Widow and Scarlet Witch merchandise coming soon. Follow Jay on Twitter at @ShortNerdyGuy, Facebook, YouTube and Google+ at +Jay Wheeler. Limited series comic books are all the rage and completely accessible. You get in, you get out, and if all turns out well, you get a good story. Plus, what's this "Con Madness" all about? You'll find out right here with permanent guest host Jacob DeSersa and regular guests Patrick Clarke and Tony Asaro. 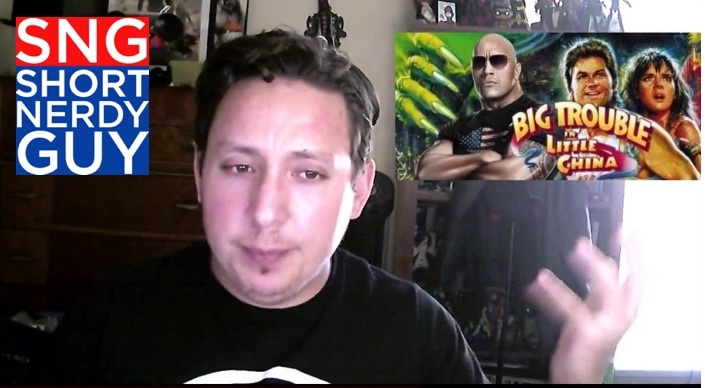 Jay Wheeler of ShortNerdyGuy brings you two new episodes for your viewing pleasure. - Lots of gushing about Power Rangers, of course. I mean, it's Jay. 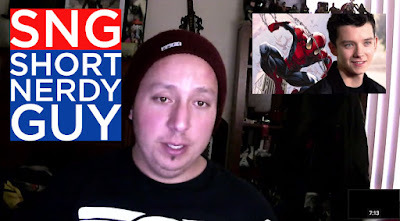 Check out ShortNerdyGuy on YouTube. Subscribe to Short Nerdy Guy on YouTube. Jay brings you some news from the indie and non-indie movie world as he talks about KungFury and Justice League. We can't wait to see KungFury! Gail Simone asked fans to #Name3Artists comics work they buy even if they don't know or like the writer or subject matter. 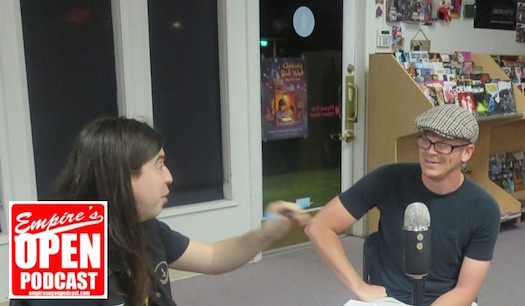 Permanent guest host Jacob DeSersa and guests share their favorite artists. With Jake are Tony Asaro, Patrick Clarke, John Thomason, and Cameron Mosbarger.